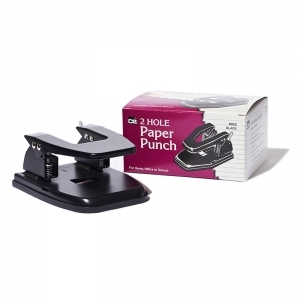 Brand : ACCO INTERNATIONAL INC.
Low force paper punch delivers powerful 1-hole punching, without demanding any more effort from you. 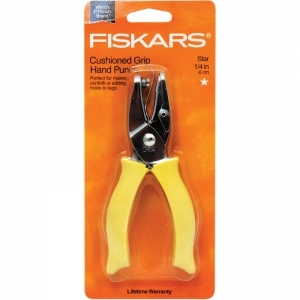 A slim handle and unique, plier design make hole punching easier on your hands. In comparison to a traditional punch, it takes significantly less force to punch through as many as 20 sheets. 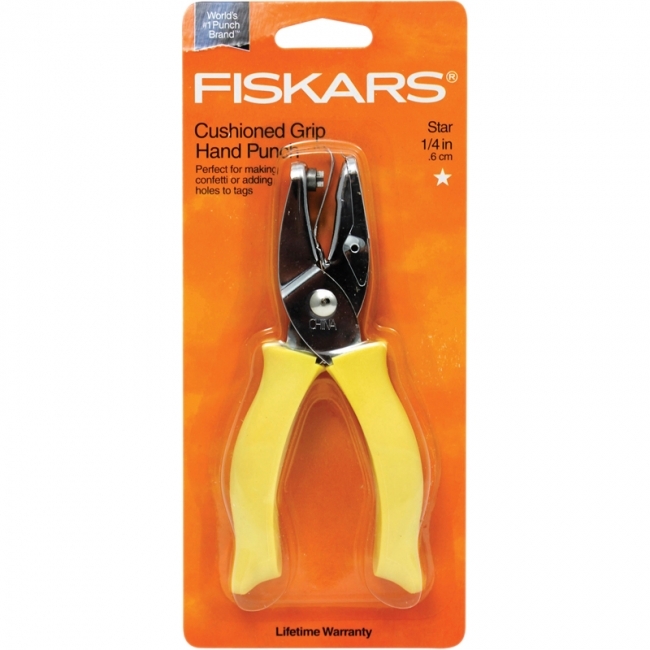 Durable metal construction ensures long-lasting use; 1" maximum throat depth offers hole punch versatility. Built-in chip tray eliminates mess. Black; Limited 1-year warranty. Easily punch 12 sheets with a SmartTouch™ low force punch. A manual, 3-hole punch the low force design of SmartTouch reduces the amount of effort needed to punch clean holes by 40% when compared to a standard paper punch. The soft grip handle not only makes it more comfortable, but also locks down to allow for more compact storage when not in use. A hole pattern in the punch base provides visibility into chip tray to see when it is full. An opening in the back and a removable base allow two options for quick and easy emptying of paper chips. 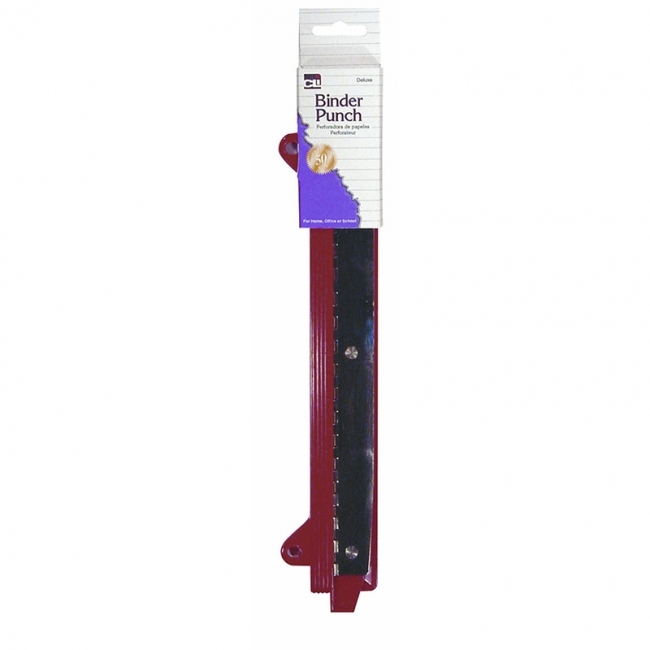 Built-in ruler and edge guide deliver perfectly aligned punching of 9/32" holes. The perfect spacing helps you easily insert sheets into ring binders, folders and report covers. 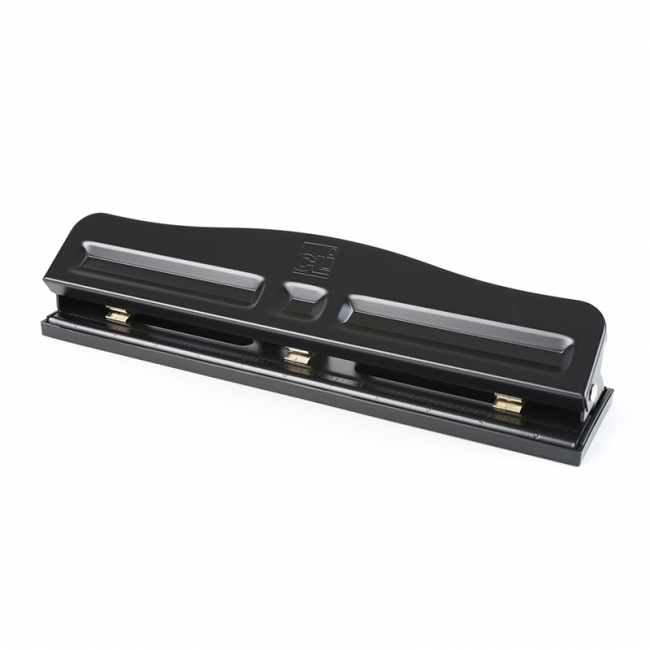 The durable metal construction is long lasting and a 90-day manufacturer's warranty is included. The three-hole adjustable paper punch features black enamel finish, non-skid base, removable chip trap and accurate built-in centering guides. 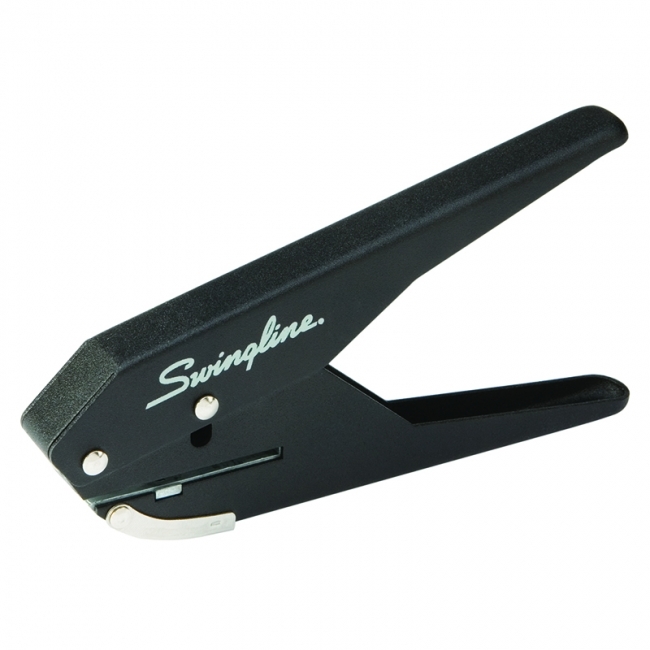 Fully adjustable and converts to a two-hole punch with built-in neutralizing center head. Punches up to 12 sheets of 16 lb. paper. 9/32" hole Diameter. Charles Leonard One-Hole Punch offers convenient hand-held use with hinged chip catcher. Great for home, office or school use. 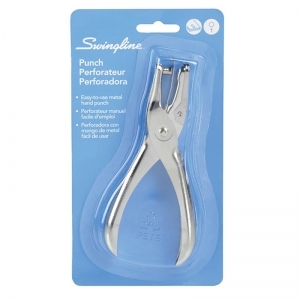 Punches 1/4" diameter holes. Easy, take with you paper punch. Fits any standard 3-hole binder. 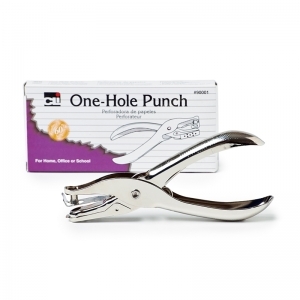 Punches 1/4" holes, comes with a ruler and built in paper guide. Ruler and base are made of plastic, punch base and punch heads are made of rust proof metal. Comes in assorted colors. Let us choose your color. 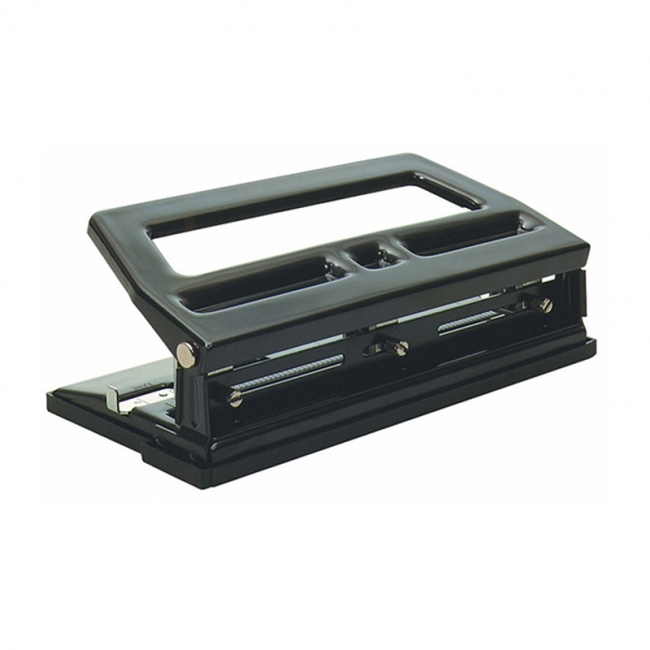 The three-hole heavy duty adjustable paper punch features black enamel finish, non-skid base, removable chip trap and accurate built-in centering guides. Fully adjustable and converts to a two-hole punch with built-in neutralizing center head. Punches up to 40 sheets of 16 lb. paper. 9/32" hole Diameter. Great for people who prefer more traditional crafting tools, our Hand Punch offers versatile, comfortable use. It's great for creating confetti, hang holes for gift tags and more. 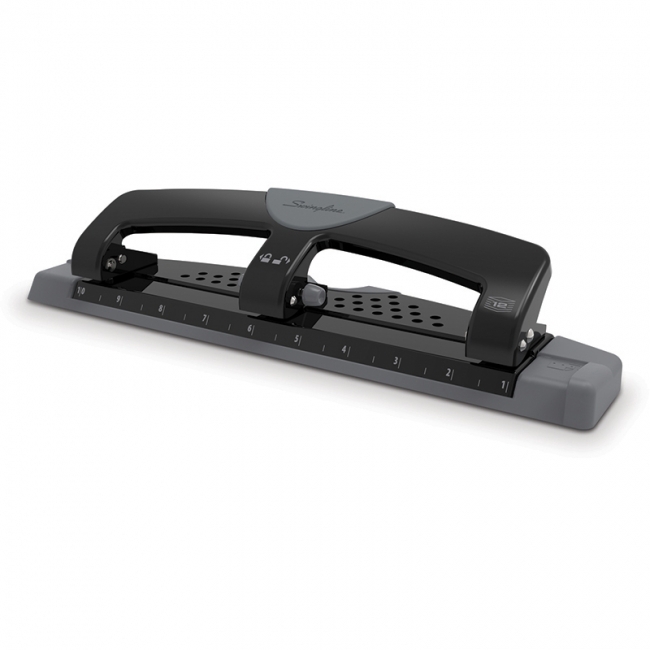 It includes a cushioned grip for comfortable long-term use and a confetti catcher to keep the clippings off your work surface. 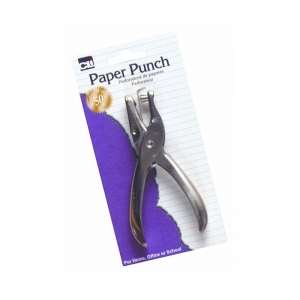 Additionally, all of our Hand Punches include a color-coded handle for easy identification.